The Aardvarks had a great start to this year’s campaign, posting a 8-2-0 record over the month of November. 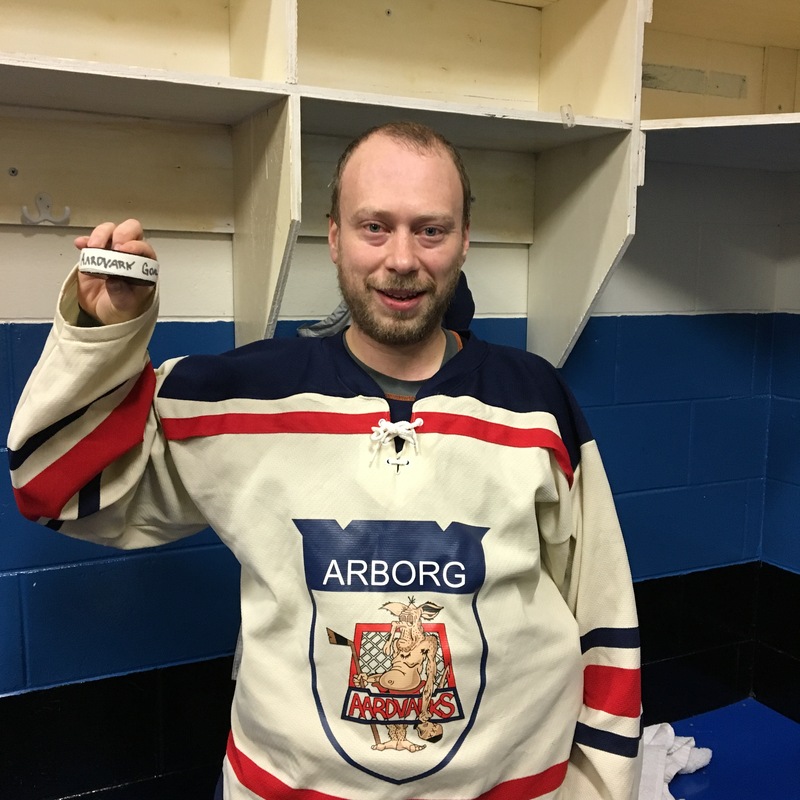 On the positive side of the puck, newbies Travis Bobbee and Paul Watts (pictured below) both scored their first goals with the Aardvarks. Bobbee notched his in the first game of the season against the fully loaded Chiefs while Watts tallied his first goal with 8 seconds left against the Fussy P’s. Following this game, Watts’ three match loan ended and he returned to the Nottingham Outlaws. On the negative side of the puck, Cory Johannesson scored a career low one goal and no assists against the Rifles on the 29th of November while Gunner Gislason played a career low 20:02 against the Pointers on the 9th of November. Both Johannesson and Gislason promised the Aardvark Nation a better performance next month.